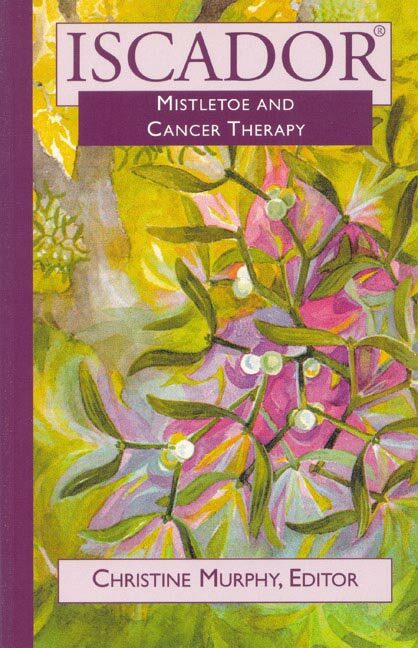 This collection of holistic cancer lifestyle tips & therapies may help folks avoid cancer onset. They can also be used to bolster our bodies’ immune systems in dealing with cancer. I began gathering these anti-cancer options in 2008, when our daughter-in-law was struggling with her breast cancer challenge. We and others, including nutritional researchers, have many natural & holistic immune system strengthening ideas to use as complementary cancer support alternatives. You could consider using some of these approaches along with conventional cancer protocols OR for disease prevention, if you want to maintain optimum health. ~ In Germany, doctors ask cancer patients to stop eating all meats or drinking alcohol. ~ Take time for daily healing visualizations, meditation, and/or Qi-Gong, as they may help significantly as well. Our German cousin told us about a well established anti-cancer medication, Iscador, an extract of mistletoe. This might be an excellent option. It has been used in Germany for over 30 years with formal studies conducted on thousands of Germans. Iscador has a well documented 40% survivability improvement factor. Seems crucial to use Iscador with conventional chemo along with whatever other protocols your oncologist recommends. Here’s a UK info site for Weleda manufactured Iscar, the US name for Iscador (mistletoe extract). The site also includes a lot of articles & studies to read. Also, ask your oncologist to read & discuss the info further with you. From skimming over various articles quickly, it seems one of the major effects of Iscar-Iscador has is to bolster the immune system. So it works even when one is doing conventional chemo treatments. Unfortunately, we had difficulty finding a dependable local doctor to order the meds and supervise treatment for the breast cancer that took our our daughter-in-law’s life. A recommended dosage is to take 1000mg of Turmeric daily. I’ve read this brand with black pepper is particularly effective. Used in the ancient Chinese and Indian systems of medicine, curcumin is a naturally powerful anti-cancer compound that has been found to decrease brain tumor size in animals by 81 percent in more than 9 studies. 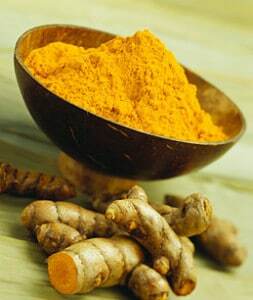 A derivative of turmeric, curcumin is the pigment responsible for turmeric’s yellow-orange color. Each 100 grams of turmeric contains around 3 to 5 grams of curcumin, though turmeric is a also very powerful on its own. New studies are shedding light on curcumin, and illuminating its numerous benefits on cancer and other diseases. Researchers experimenting with curcumin in the treatment of a fatal brain cancer known as glioblastoma (GBMs) published their groundbreaking findings in the Journal of Nutritional Biochemistry in July. Adding scientific basis to previous findings surrounding the positive effects of curcumin, they showed that the compound dramatically decreased brain tumors in 9 out of the 11 studies examined by 81 percent. Furthermore, there was no evidence of toxicity, whereas chemotherapy and other cancer treatments often result in extreme side effects that are sometimes worse than the actual disease. Research via the web info on Essiac Herbal Tea Recipe, an Objibway native American formula that has been used to treat 1000’s of successful cases of breast cancer, some under the supervision of their medical doctors. Read more on the history of this herbal formula or purchase Essiac Tea from this site. Be sure to read the testimonials page on the site…the whole page, so you see survivors comments as well as the doctors feedback. The physicians’ links list medical practitioners that are familiar with the product. Search for your own area. 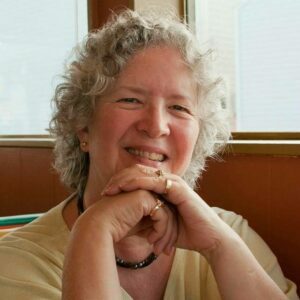 A prominent PhD herbologist grows the herbs in the state of Washington. It takes more than thirty days to formulate the elixxir in laboratories. One of the jobs of the immune system is to rid the body of all pathogens. As the body ages the immune system is less efficient. 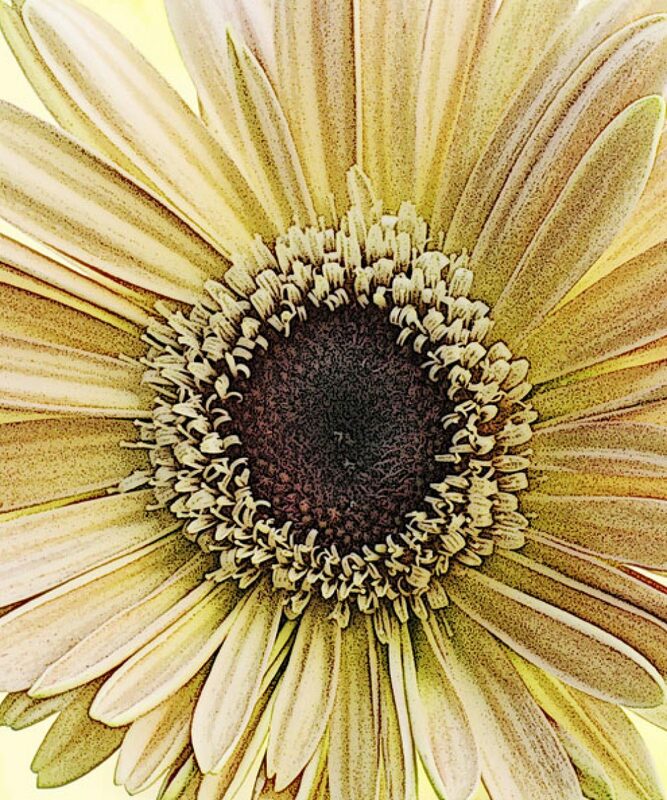 Plant’s immune systems have natural chemicals in their roots, stems, bark, etc. Thousands of years ago, people learned what plants to eat to cure and prevent sickness. Twenty-five years ago various herbologists, biologists and other professionals were [asked] to [develop] and formulate this elixxir to prevent or eliminate abnormal toxins, parasites, microbes, autoimmune disease, abnormal cancer cells and other disease causing pathogens. It is effective on any and all [of more than 102 identifiable cancers] with few exceptions. All cancer cells have very large nuclei carrying the DNA of the cancer cells. Sometimes the nucleus can be five times larger than a normal cell. The elixxir has been formulated to seek out and bind to and have an affinity for those cancer cells only, and destroy them by direct contact. It will not bind to normal, healthy cells. It is specific for cancer cells. Also during this time, bacteria, fungi, viruses and worms that cause many other noncancerous diseases are eradicated. The herb molecules and proteins stimulate the immune system. The herbs will bind to certain sights or receptors, as they are professionally called, that all cancer cells have on their outer plasma membrane. When the herb molecules bind to cancer cells, the cells are then identified as an antigen or disease causing agent thus identifying them for your immune system as a disease causing agent. This stimulates the immune system, the T natural killer cells and other immune cells to attack and destroy the cancer. The herbal molecule formula will also interfere with the protein called BCL2. Certain cancer cells need this protein to reproduce. A certain type of chemo called taxol does the same thing. However, vitae elixxir does not have the severe toxic side effects that taxol has on healthy cells. Also cancer cells need certain proteins which are not cancerous that cause them to bind together to form tumors. 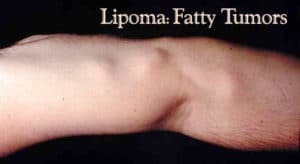 They are called stroma connective tissue, a fibrous material. The herb lessens these proteins. The herbs stop further metastases elsewhere in the body in 30-60-90 days. By interfering with a certain chemochyme produced by the immune system, which causes a lot of cancer metastases, the process is stopped. Nearly all cancers are caused by viruses which enter healthy cells and interfere with tumor suppressor genes. The suppressor genes prevent abnormal cells from replicating and also destroys them before they become cancerous. Oxygen free radicals cause cell damage, some possible cancers and other diseases. 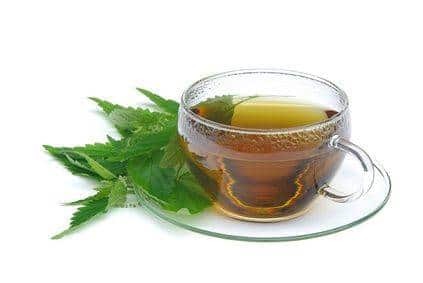 The herbal remedy is an antioxidant, anti-inflammatory and will prevent most oxygen free radical damage, which causes the body’s aging process. Skin cancer, including melanoma, can lessen and the remedy can remove the possibility of [further] skin cancer metastases. Topical application of the elixxir will remove skin cancer in 2-3 weeks. One to three centimeter tumors in the body are reduced or eliminated in ninety days. Larger tumors may take longer. The herbs do not eliminate the non cancerous fibroid part of the tumors. Chemotherapy, radiation or certain surgeries are not discouraged when using the herbal products. They may give the individual four to six months to live, which is the time the herbs need to work. Cancer cells not destroyed by chemo, radiation or surgery are destroyed by the herbs. One must stay on the herbal program for six months after the cancer clears and one is in total remission. Then one moves toward a very low dosage for the rest of one’s life. The cancer should not reoccur. There is no conflict with any medication, herbs or therapies and the remedy can enhance their efficacy. Brain and bone cancers need longer for fuller recovery. If more than 50 or 60% of organs are cancerous, the herbal programs won’t be beneficial as there is not enough time to live for the herbs to work. If there is less than ninety days to live use of the herbs is not encouraged. Age is of no consequence. The herbs can be used as a cancer preventative. There are no harmful side effects from the herbal remedy. If not taken with food and water, nausea can result. For people with large tumors, there can be sharp shooting pains or dull pains as the cancer is being destroyed. For 60-120 days most tests, like CT scans, are not always accurate as there can be tumor necrosis where the tumor swells as it is being destroyed. The patient must be monitored by their doctor during their recovery. 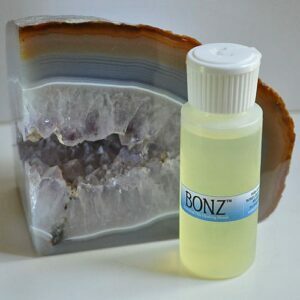 One should not drink hydrogen peroxide in conjunction with the herbal products. It may interfere with the herbal recovery program. Any and all products come with complete instructions. The Maker’s Diet, a book by Jordan Rubin. You may be able to find it in the local library. Pg 114 describes T-cells and macrophanges. Jordan found that polysaccharide peptides or glycoproteins enhanced macrophange and killer cell production. They are in greatest abundance in edible fungi (mushrooms) and germinated grains and seeds. His grandmother was 70, the cancer was level IV. She could not survive the chemo. Jordan has something called a Poten-Zyme process that predigests the mushrooms. Mushroom supplements can be purchased from a good health food store. And mushrooms are great cooked or sliced raw in salads. 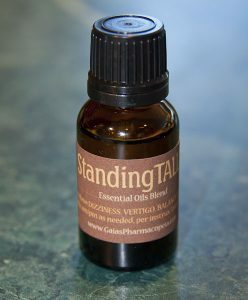 Myrrh therapeutic essential oil bolsters the immune system. NOTE: This approach may not be appropriate, if you are on an anti-fungal diet. NOTE: MYRRH may be purchased as a therapeutic-quality essential oil. Burton Goldberg’s site mentions a factor I’ve never read about before that could be contributing to this alarming statistic. Energies from the earth itself can have a carcinogenic effect on humans. Magnetic radiations from the Earth presumably connected with geological fractures and subterranean water veins, can, when situated underneath homes have remarkably deleterious effects on the occupants. The concept of geopathic, or pathogenic, influences from the earth, took root in Germany in 1929 when Baron Gustav Freiherr von Pohl made a systematic tour of the community of Vilsbiburg. It had 565 houses, 3,300 residents and an unusually high rate of cancer. Von Pohl was acting on a hunch inspired from a survey of Stuttgart in the 1920s that showed a clear correlation between between major geological faults in the city and those districts that had the highest cancer mortality rates. His tentative conclusion was that an unknown but noxious radiation emanating from the Earth faults might be an important and overlooked contributory cause of the cancers. Some well-known types of geopathic carcinogens are: radon, indoor air pollution from “sick building syndrome,” ionizing radiation, and nuclear radiation. It may be wise for each of us living in areas of risk to have our homes tested. Can you tell me if that Vitae Elixir would work in conjunction with Poly MVA? My child is currently on the Poly for a brain tumor. C M ~ I don’t know if they will work together. I do research about what has helped others and offer that information here as an alternative to conventional treatment. 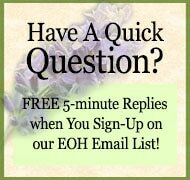 Please read all the comments on both the Orange and Frankincense essential oils articles where we discuss other holistic immune supportive suggestions. Best wishes for your child’s health.